From the World War One Centennial Commission a couple of days ago. 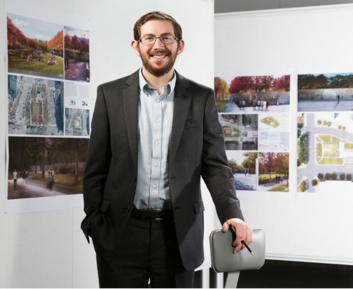 Architect Joe Weishaar, designer of the national World War I Memorial in Washington, D.C., will be going home April 3 to speak on “To End All Wars: The Fight for the National World War I Memorial” as part of the Honors College Invites lecture series at the University of Arkansas, his alma mater. Weishaar was interviewed by the Northwest Arkansas Democrat Gazette newspaper in anticipation of his appearance at the University next month. Click here to read the entire insightful interview about how Weishaar’s world has changed since winning the design competition for the Memorial. At the time of the First World War, most women were barred from voting or serving in military combat roles. Many saw the war as an opportunity to not only serve their countries but to gain more rights and independence. With millions of men away from home, women filled manufacturing and agricultural positions on the home front. Others provided support on the front lines as nurses, doctors, ambulance drivers, translators and, in rare cases, on the battlefield. 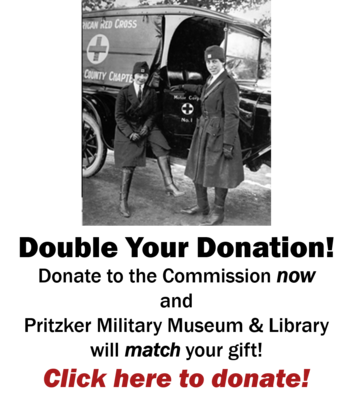 Click here to read more about how American women mobilized for the war effort a century ago. 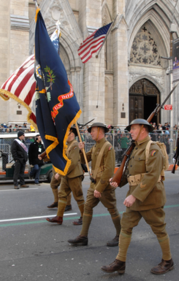 The American Legion organization’s 55 departments and nearly 12,500 posts across the country and around the world are celebrating a century of service to community, state and nation that began in Paris March 15-17, 1919, when war-weary members of the American Expeditionary Forces gathered for a “morale conference” that led to the creation of what would become The American Legion. Only 300 troops were expected to attend. Officially, 463 registered. 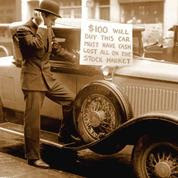 Some have estimated that more than 1,000 came and went, with or without orders, during the weekend that launched a century of accomplishments unforeseeable, if not unimaginable, at the time. Click here to read more about how a chaotic and informal wartime meeting was the genesis of the nation’s largest veterans organization a century ago this month. In order to fill severe clerical shortages caused by World War I, the U.S. Navy approved the enlistment of women in 1917. The Naval Reserve Act of 1916 made no specific gender requirements for yeomen, enlisted personnel who fulfill administrative and clerical duties. So either by deliberate omission or accident, the act opened the opportunity to enlist women. One of the first through the door on March 17, 1917 was Loretta Perfectus Walsh, who became the first active-duty female in the Navy who wasn’t a nurse. The newly-enlisted Sailors were given the rating Yeoman (F), with the “F” designating female. More popularly referred to as “yeomanettes,” the majority worked in clerical positions, but they also served as translators, draftsmen, fingerprint experts, ship camouflage designers and recruiting agents. Click here to read more about how these women pioneers in military service set the standard for all who followed. The Centennial Commission’s efforts in the area of Education are among our most important endeavors. Ultimately, the mission of the Centennial Commission is to educate people, especially our coming generations, as the stories and lessons of World War I are their inheritance. We are thrilled to help our Education Department to roll out a new tool for educators — a brief video entitled “Who We Were”, which helps to describe the various resources available to teachers and students of World War I. We spoke with our friend Ryan Hegg about the new video. Ryan has long been with the Centennial Commission as a volunteer and as a staffer, and he was part of the production of this new video. Pvt. Walter Beagles arrived at Camp Jackson, South Carolina, in 1918, an African American draftee in a segregated Army that relegated black soldiers to labor battalions out of a prejudiced notion that they couldn’t fight. More than 100 years later, his great-grandson now serves as the base’s 51st commanding general. Brig. Gen. Milford Beagle, Jr., a combat veteran who took command last June, admits that it gets to him, knowing he’s serving where his ancestor served but under vastly different circumstances. “It does become pretty surreal to know that the gates my great-grandfather came through are the same gates I come through,” Beagle said. Click here to read this entire fascinating article about a family’s World War I saga. Some sixth graders at Providence Middle School in Chesterfield County are getting a hands-on history lesson thanks to dozens of century-old letters from World War I. Every other day Ms. Jennifer Covais’ students arrive to crunch numbers as they immerse themselves in the past using authentic dispatches written from war-torn France during WW I. The author, Johnny Cawthra, was a disabled clerk with American Express who could not serve in the military because he was blind in one eye. “They love writing. It’s an elective. It is an honors writing class,” Covais said. “I like to make memories with my kids.” Click here to read more about (and watch the video of) how students are transcribing Cawthra’s observations that range from his visits with wounded soldiers in a hospital and watching President Wilson to witnessing the ravages of war. In March 8th’s edition of the World War I Centennial News Podcast, Episode 113, host Theo Mayer spoke with Jim Theres, executive producer of ‘The Hello Girls,’ about the remarkable history of these women and his acclaimed film highlighting their service. Just this month, Theres received a special recognition award at the Army Women’s Foundation Hall of Fame induction ceremony, for spotlighting America’s first female soldiers. Click here to read a transcript of this entire interview, and find out where you can see the Hello Girls movie yourself. When award-winning author Roxana Robinson was writing her critically acclaimed book about a veteran of the Iraq war, “Sparta”, she only allowed herself to read one war novel: Erich Maria Remarque’s “All Quiet on the Western Front”. 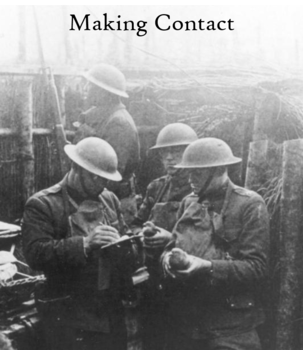 Read Robinson’s reflections on contemporary war writing through the lens of Remarque’s WWI classic novel at WWrite this week! Where do we go from here, girls? BEHIND THEIR LINES examines American women’s responses to the changes in society that followed World War I. 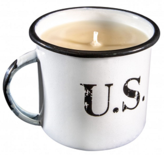 These replica tin mugs have been upcycled from regular coffee mugs into coffee candles. The “Morning Java” scent will fill the room with a wonderful coffee aroma that includes just a hint of chocolate. A portion of the proceeds from the sale of this item is designated for completing the National WWI Memorial in Washington D.C.
Members of the East Coast Doughboys reenactor group, partners of the U.S. World War I Centennial Commission, participated in the New York City annual St. Patrick’s Day Parade last weekend. Click here to see a gallery of photos of the Doughboys on parade. John “Jack” Thomas Nilles born around 1889. 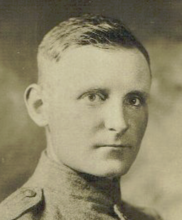 John “Jack” Nilles served in World War 1 with the United States Army. The enlistment was in 1918 and the service was completed in 1918. Read John “Jack” Thomas Nilles’ entire Story of Service here. 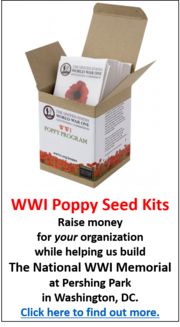 This entry was posted in World War One Centennial Commission and tagged World War One Centennial Commission on March 21, 2019 by Michael K. Barbour.